Kenyan security forces on Friday launched a rescue operation for unidentified gunmen who abducted two Cuban doctors and shot a police officer dead near the country’s border with Somalia. According to a local newspaper, The Daily Nation, the attackers drove off with the doctors who are employed by the Kenyan government after a shootout in Mandera, located in the north-eastern part of the country. This is even as KTN News said the Police suspected that the doctors and their abductors, believed to be members of the Al Qaeda-linked Al-Shabaab group had gone into Somalia. 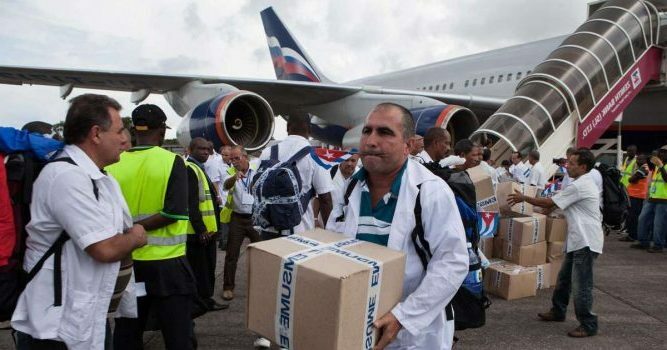 The abducted doctors are among 110 Cuban specialists recruited by Kenya in June 2018 as it sought to improve the quality of medical services in rural areas. Mandera has been the scene of frequent attacks in which dozens of civilians and security personnel have been killed and Al-Shabaab has taken responsibility for most of them. In November last year, gunmen wounded five people including two children and kidnapped an Italian charity worker in Chakama, a small town near the Kenyan coast and south of the Somali border. The fate of the Italian woman is still unknown. The militant group also conducts frequent assaults in Kenya, mostly in the region bordering Somalia, all in a bid to put pressure on the Kenyan government to withdraw its troops from Somalia. The group is also widely believed to be fighting to topple the central government in Somalia and establish their own rule based on their strict interpretation of Islamic law.